Dance competitions offer dancers the opportunity to perform on stage, complete with lights, makeup and an audience, and can provide them with immediate feedback on their performance skills and technical ability. The judges will rate all aspects of a dancer’s performance, including areas for improvement and also areas that are working well. Scoring highly in a competition can not only boost a dancer’s confidence but also pave the path for future competitions and performance experiences to come. That said, though, the main goal of a competition is to win, right? So what are the key elements to a successful, winning competition routine? It may be more than just technical tricks. 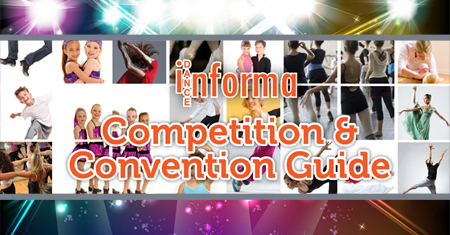 Here, Dance Informa speaks with two executive directors of leading dance competitions for their insight and advice on choreographing a winning competition routine. Yes, the technical elements of a routine are important – Are the dancer’s feet pointed? Legs straight? Are steps done, and done well, on both the right and left side? Are the lines clean? A winning routine, however, will showcase not only a dancer’s technical strengths but also focus on the non-technical or subjective aspects of the performance. 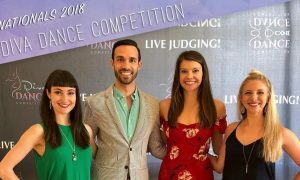 “Judges will consciously and carefully scrutinize technical factors and add or deduct points based on their careful observations, but their overall opinion of the routine will be most affected by the showmanship aspects of the performance,” says Shawna David, executive director of World-Class Talent Experience. Dancers need to show quality of movement, expression, musicality, a range of emotions and a sense of stage presence that captures the audience. A group performs at a World-Class Talent Experience competition at The Palms Casino and Resort in Las Vegas. Photo courtesy of World-Class Talent Experience. Overall, a judge wants to see a dancer dance. Therefore, David recommends a choreographer or teacher to create a routine with innovative and interesting movements that showcase a dancer’s strengths and that allows him/her to connect to the music and audience. “You should be sure to create movements that drive the dancer’s confidence,” she adds. From personal judging experience, Vamosi says that he always looked for what the dancer could do. It may be a balance between showing the dancer’s best work and pushing them to grow as a dancer, but in the end a routine should have movements in which the dancer is solid. In fact, David points out that if a dancer is not able to execute the movement well in the studio, the teacher or choreographer should modify the steps for the stage. It’s best to highlight the dancer in his/her strengths. Vamosi says that choice of music is crucial. The dancer should love the music, and it should suit them and enable them the chance to shine. And to choreograph to the music, he recommends adding ascension and descension movements when possible. A winning routine should also be short and sweet. For a solo routine, Vamosi recommends a piece be no longer than two minutes and 20 seconds. For a group routine, he suggests keeping it under three minutes. Solo and group routines have some similarities and differences in terms of their success. Both should err on the side of being clean and polished rather than full of too many tricks that aren’t executed properly. More tricks don’t equal a higher score. There should also be a variety of movements in all routines. For group routines, elements like spatial patterns, entrances and exits, and unity are very important and are obviously unique to group dances. He adds that using much of the stage is important for groups as well, as it gives a stronger visual dynamic. No matter the content of the routine, its entirety should be thoroughly examined to be as flawless as possible. A great, flawless routine isn’t necessarily created through running the piece over and over, however. Photo (top): A solo competition routine, such as this one performed at a Leap! National Dance Competition, should highlight a dancer’s individual strengths. Photo courtesy of Leap! National Dance Competition.